Some friends have a place in Boonville, California. 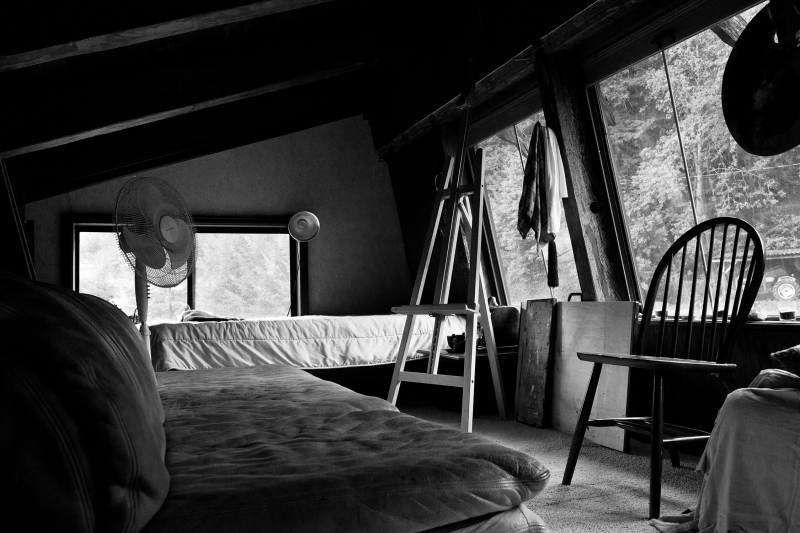 This loft in the cabin does double duty as an artist's studio and a guest space. I'm always taken by the way light fills this compact space, and the stillness when it isn't in use.